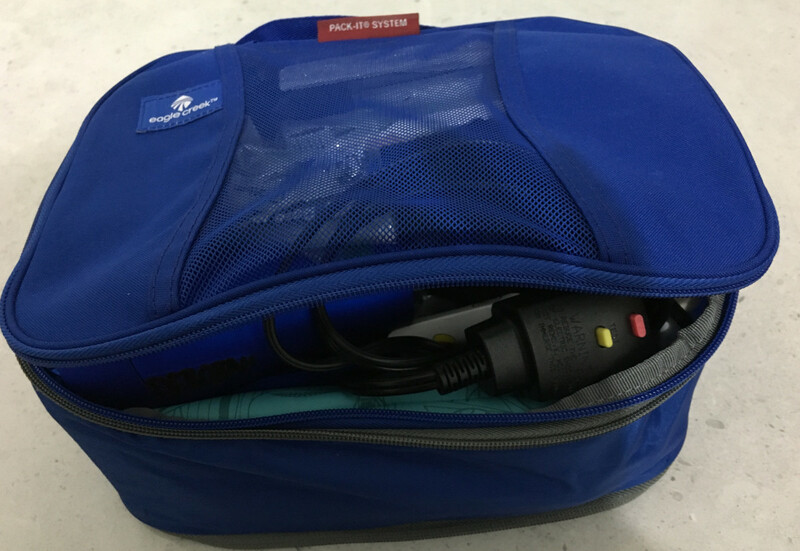 Being a Conair fan and having burned out two hair dryers during my travels, when I had the in-person opportunity, I sought out a woman who worked with the Conair Travel Smart® line. The woman I met not only works for Conair Travel Smart® but also happens to travel and use a hairdryer. When I asked her if she had a small, light model that provides strong drying power and durability, she pointed out that the longer shape of the TS263 provides not just the highest-powered airflow for its size and weight, but serious, real-life power. I was so happy with the promise of this new tiny model and its price! I knew I could find the space in my bag, so I decided to give it a try. An excellent decision! I’ve owned and used hair dryers since I was about 14. For many years I used a hair dryer daily. I’ve owned very few, though — because I’ve typically purchase Conair and the Conair brand has proven to be long-lasting, durable, and reliable. For 3 months I carried this dryer in my backpack while traveling domestically. I enjoyed this dryer’s shape and power each time I used it — set to 125 for the United States and set to high power. The point of having it was for travel, though. And my travel includes international. I must admit that I became wary when I read in the TS263 manual that while using this dryer in 250-volt-land it should only be used on low power. I kind of dreaded the day I’d first use it in England and worried that it wouldn’t deliver on power. I am thrilled to report that with the dial turned to 250 (volts) even used on low power, this Conair TS263 dryer delivers great power — speed and heat — brilliantly! This was consistent for 6 months as I carried my TS263 dryer in that same backpack throughout England, Wales, Northern Ireland, Ireland, Austria, and Israel. The Low setting at the higher voltage feels about the same as the High setting in the USA. In each region, I have plenty of air passing through it, plenty of warmth and drying power. The motor never strained. I don’t worry about blowing this out the way my cheap European hairdryer burned out. I have been using this dryer for almost a year and I still love it. In fact, I like it much more than a full-sized hair dryer. I hadn’t even realized how great it is to have such a small and light dryer until I tried using the hair dryer at a hair salon. I don’t think I’ll ever go back to a full-sized dryer, even when my travel days are over. Seeing that the power plug of the TS263 was a 2-pronged grounded plug where one of the prongs is wider than the typical US adapter also worried me. When I got to the UK would the wider prong fit into any adapter? And in Europe? 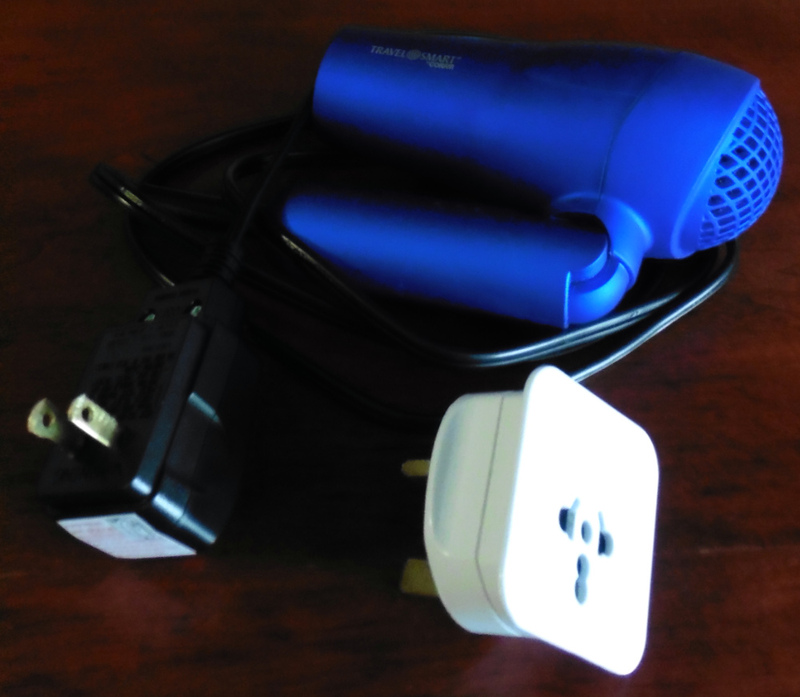 In England I purchased a typical UK 3-prong fused adapter and this hairdryer fit comfortably and worked well. I used it with this adapter in England, Wales, Northern Ireland, and Ireland. 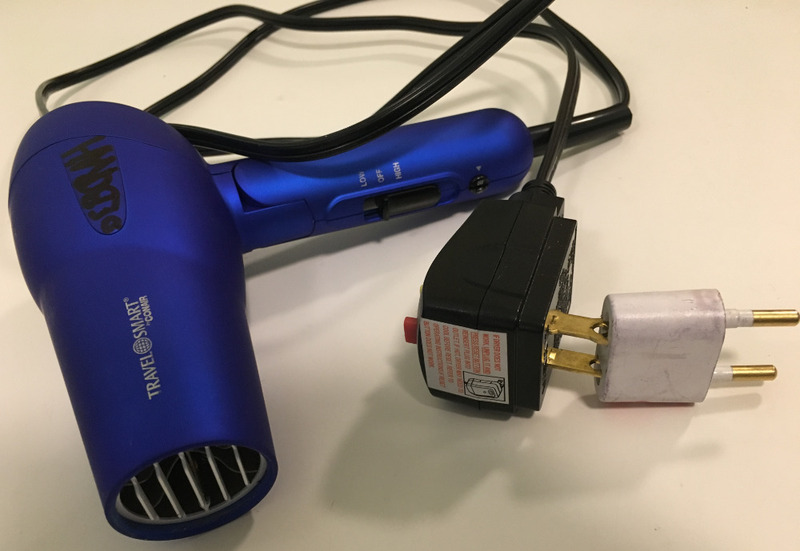 In Austria and Israel, I have used the hairdryer with the standard 2-round-pronged adapter that I’d purchased a year earlier in the Czech Republic and used in several countries including Israel. It not only fit well but because the grounded prong fits into the slot tightly, the adapter stays connected well. Note: Because of the broader prong, I purchase an adapter to use only with this hairdryer. When I need an adapter for anything else, I use a second adapter for that country. I never tried this with one of the one-adapter-fits-all-countries adapters. I choose to purchase an adapter made for the country I’m in as I feel they’re more durable and safer. Additionally, a hostel in Dublin posts signs requesting that people not use a fits-all-countries adapter. Just a few days ago, someone dropped my hairdryer from a 5′ high shelf to a hard tiled floor. I gasped and worried, but the next day my little blue dryer was working just fine. I have dry hair when it’s cold outside so I’m more comfortable, less cold and less likely to become ill. I have nicely styled hair even when living in a dorm. I can look good wherever I go rather than looking like a tired traveler or a backpacker. 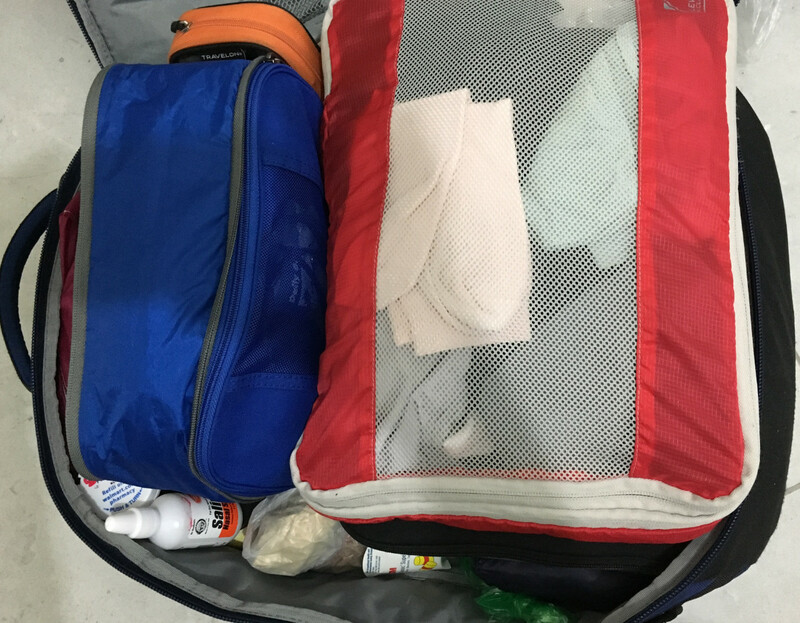 And here’s the EagleCreek packing cube inside my EagleCreek backpack. The hair dryer is nice and safe within them and it’s never in the way.